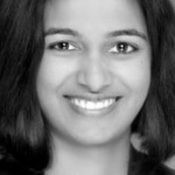 Pooja S. Nair, a food and beverage lawyer and litigation member at TroyGould PC in Los Angeles, compiles recent legal news affecting the restaurant, food and beverage and hospitality industries for Modern Restaurant Management (MRM) magazine. Proposed Craft Beverage Law to Make Federal Tax Reductions Permanent: The Craft Beverage Modernization and Tax Reform Act has been introduced in both the Senate and the House of Representatives. Tax reductions on the craft beverage industry was previously passed on a temporary basis for a two-year time period in 2017 as part of the Tax City and Jobs Act. The proposed legislation would make those reduced taxes for vintners, cider makers, brewers and distillers permanent. It would also make regulations on the industry less onerous. Restaurant Anti-Harassment Act Proposed in Illinois: On February 15, 2019 the Restaurant Anti-Harassment Act (House Bill 3351) was introduced in the Illinois legislature. The proposed bill requires restaurants to provide training on sexual harassment to all employees, that includes specific information about the restaurant or hospitality industry and is conducted in both English and Spanish. If the bill goes into effect, employers would be required to provide the training within 90 days after the effective date (January 1, 2020). Employees would need to receive training within 30 days of employment. A similar bill is under consideration in New Jersey. Plastic Straws Will Be Request Only in L.A.: The City Council of Los Angeles unanimously passed a law expanding the state legislation on plastic straw bans. Once the law goes into effect, all food and beverage facilities in the city will be prohibited from providing or offering disposable plastic drinking straws to customers except upon customer request. The law will go into effect on April 22, 2019 for restaurants with 26 or more employees; and October 1, 2019 for all other restaurants and food and beverage facilities. The State of California is also considering a measure to phase out single-use plastics by 2030. Kentucky Considering Legalizing Direct-to-Consumer Wine Shipments: A pending bill in Kentucky would permit direct-to-consumer wine shipments in the state. The bourbon industry is lobbying for an amendment that would expand the bill to include spirits. Kentucky is currently one of five states that do not permit wine shipments to consumers. In April 2018, Kentucky passed a bill allowing limited shipments of wine and spirits from Kentucky wineries and distilleries to Kentucky residents. That limited bill only applied if residents were part of a wine club or were tasting wine/alcohol on the premises. New York City Considers Foie Gras Ban: The New York City Council is considering a bill to prohibit restaurants and vendors from offering foie gras to consumers. If the law is passed, selling foie gras would be punishable by fines of up to $1,000 or up to a year in jail. Second Circuit Upholds Connecticut Liquor Control Law: On February 20, 2019, the Court of Appeals for the Second Circuit upheld Connecticut’s Liquor Control Act against a challenge from Total Wine & More. Total Wine challenged three different provisions in the Liquor Control Act, arguing that those provisions violated the Sherman Act and effectively fixed prices and reduced compensation. Connecticut’s law requires, among other things that: (1) state-licensed wholesalers post a bottle price and case price with the state; (2) retailers sell alcohol beverages to customers at or above a statutorily defined cost; and (3) wholesalers could not offer volume discount prices and had to charge every retailer the same price. The Court held that Connecticut’s alcohol laws did not necessarily force alcohol beverage wholesalers and retailers to conspire in violation of the Sherman Act and, therefore, that the Liquor Control Act was not preempted. Wendy’s Settles Data Breach Claims for $50 Million: On February 13, 2019, Wendy’s announced that it had reached a $50 million settlement with a group of financial institutions to resolve all legal issues that arose in the aftermath of data breach attacks. Those data breaches exposed the credit card information of customers at more than 1,000 locations. Wendy’s reached a separate settlement with consumers affected by the breach. Produce Safety Rule Inspections to Begin in Spring 2019: On February 11, 2019, the FDA announced that it would begin routine inspections of large farms in Spring 2019. These inspections would verify that farms are complying with the requirements of the Product Safety Rule. The Produce Safety Rulewas established by the Food Safety Modernization Act. Although the rule had a compliance date of January 2018, the FDA delayed inspections until Spring 2019 in order to allow for more guidance, training, and preparation time for stakeholders. FDA Announces Imported Food Safety Strategy: On February 25, 2019, the FDA announceda new strategy to ensure that international food imports follow the same safety standards as domestically produced food. This strategy would combine on-site inspections of foreign food facilities, a Food Safety Verification Program, and an accredited third-party certification program. The U.S. currently imports 15% of its food from more than 20 countries. CBD Hearings on the Horizon: On February 27, 2019, FDA Commissioner Scott Gottlieb announced that the agency would be setting a public meeting in April to discuss future regulations for the cannabis industry in the light of the 2018 Farm Bill. These meetings come at an uncertain time for the CBD industry, where some state and local governments have been cracking down on CBD products, even after industrial hemp was de-regulated in the Farm Bill.